You may want to redirect your customers to a customized successful booking page after booking. 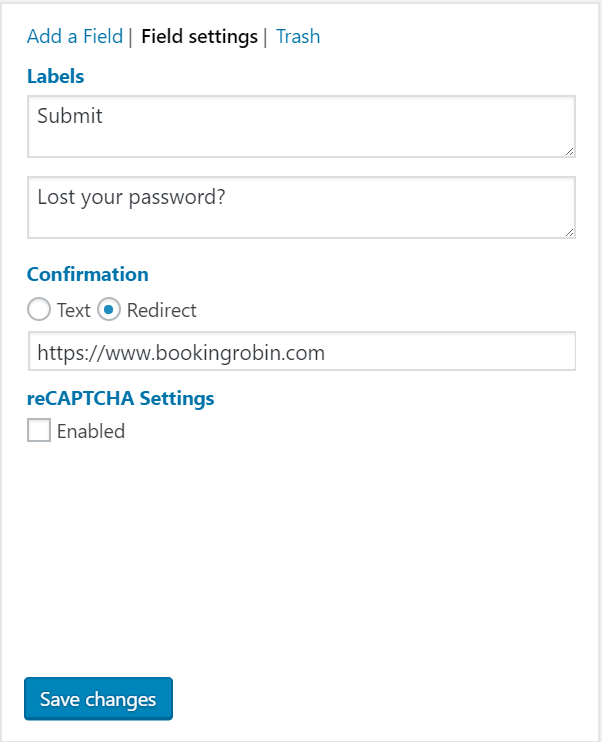 Go to WP Admin > BookingRobin > Settings > Form Builder, scroll down to the end of the form, click "Submit". At the left side Field Settings section, click Redirect, and input the url of your successful booking page.